The World Federation of Interventional and Therapeutic Neuroradiology (hereafter "the Federation") is chartered as an international non-profit organization, dedicated to the development and advancement of Interventional and Therapeutic Neuroradiology throughout the world. The Federation was chartered in 1990 and is registered at the Prefecture of Paris. The official language of the Federation is English. The activities of the Federation shall be in accordance with the Constitution. To coordinate interdisciplinary relations among Interventional and Therapeutic Neuroradiology and other specialties dedicated to the diagnosis and treatment of central nervous system disorders. 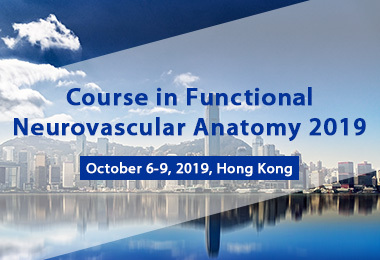 To promote the development of appropriate methods of teaching Interventional and Therapeutic Neuroradiology and to ensure that standards of training and, where applicable, proper certification are obtained and maintained. Hold a scientific meeting every two years. The location of the meeting will be determined after election by the general membership during the General Assembly. The election and votes are organized according to article 9 of the constitution. Organize educational courses in Interventional and Therapeutic Neuroradiology. Organize other meetings, as required, to promote the Federation. Promote and support the edition, publication and distribution of an official journal and other educational publications dedicated to the advancement of Interventional Neuroradiology. This category is limited to physicians active in Interventional and Therapeutic Neuroradiology. Full Members in good standing shall enjoy all rights and privileges of membership of the Federation, including the right to vote, to serve on committees, and to hold any office in the Federation. They shall pay annual dues, the amount of which will be determined by the executive and agreed to by membership vote at the General Assembly. Members who default on their annual dues for a period of two calendar years shall forfeit their membership. Defaulting members are eligible for reinstatement upon paying double the current annual fee. In order to become a Full Member, applicants must submit a completed application form together with a curriculum vitae to the Secretary General. Candidates who are trained according to the guidelines of the Federation and who actively practice neurointervention will be considered for membership by the executive. Approved applicants will be required to pay membership dues and thereafter will enjoy the rights and privileges of membership. New members will be presented at each General Assembly. This title is conferred by the Federation upon individuals who are judged to have made outstanding contributions to Interventional and Therapeutic Neuroradiology. Nomination for Honorary Membership can be made in writing by any full member to the Secretary General. Conferment of membership will be proposed by the Executive Committee at a General Assembly and must be confirmed by a simple majority of voting members. Honorary members will have all the rights and privileges of full membership of the Federation. Honorary members are not required to pay annual dues. Distinguished former Presidents who are deemed by the Federation to have made substantial contribution to the discipline of Interventional Neuroradiology and to the advancement of the Federation may be nominated to become Honorary President by written recommendation by any full member. The nomination should be made to the Executive Committee through the Secretary General. Upon consideration and approval by the Executive Committee, conferment will be proposed by the Executive Committee at a General Assembly and must be confirmed by a simple majority of voting Members. Once conferred on an individual, the title of Honorary President is for life. Honorary Presidents are not required to pay annual dues. A full member who is no longer in active practice may apply to the Executive Committee to modify his or her status to become a Member Emeritus. Emeritus Members have all the rights and privileges of Full members but are not entitled to vote, serve on Committees (except as consultants), nor hold any elected office. Annual dues are not required from Emeritus members. The Executive Committee is responsible for managing and directing the scientific, financial, as well as other day-to-day activities of the Federation. The Committee will meet when directed by the President, or at the request of a majority of its members.The President may invite any other persons involved in the business of the Federation, where appropriate, to an executive meeting. Any full Member in good standing of the Federation can seek the candidacy for any of the following offices: Vice-President, Secretary General, Treasurer or Member-at-Large of the Executive Committee. However, in order to ensure continuity in the organization of the WFITN, members of the Federation interested in one of the leading positions in the Executive Committee (Vice President, Treasurer or Secretary General) should have been elected previously for at least one mandate to the position of Member at Large. These Officers are elected by the general membership by means of a vote, which is held every other year preceding the scientific meeting officially held by the federation. The General Secretary shall notify members that application for an elected position is open six months before the biannual scientific meeting. Application for candidacy to one of the elected offices on the Executive Committee has to be submitted to the Secretary General at least three months prior to the date of the General Assembly. Applicants must submit a completed application form (available from the Secretary General) together with a curriculum vitae and supporting letters from two full members. The secretary general will verify that the candidate is a full member of the federation and in good standing. Should too many candidates come from a single region or continent, relative to the overall membership, the executive committee may request of a continental or regional society from that over-represented area to select a subgroup of candidates among those nominated. The Secretary General will then notify the membership by email of the names of the candidates standing for each position. Voting will take place by ballot at the General Assembly. Votes will remain confidential. The results of the elections shall be announced at the General Assembly; the candidate receiving the simple majority of votes for a given office shall be elected the winner for that office. In the case of a tie, the vote will be repeated by secret ballot at the General Assembly until one candidate is declared the winner. Newly elected Officers will take office immediately following the general assembly. The President will serve one term. The length of that term is determined by the society to be two consecutive years. The President is not eligible for election for a second consecutive term. However, a Past President can run for any elected office four years after his election as President. The Vice president term is for two years before assuming the office of President. The Secretary General and Treasurer shall serve for a 2 year term, and be eligible for re-election for one further mandate in this position. Members-at-Large will serve for two years and will be eligible for re-election for one further mandate. The Past President term is for two years. The President shall be the presiding officer of the Federation and will perform the duties customarily associated with his or her office. The President shall preside over meetings of the Executive Committee. The President may from time to time convene advisory boards or ad hoc committees to consult on specific issues or projects concerning the federation. The President, with the approval of the Executive Committee, assigns duties to the Members at large, and may appoint full members to ad hoc committees Should the President become incapacitated or unwilling to perform the duties of the Presidency, the Vice President shall assume the office of the Presidency until the next General Assembly of the Federation, a special business meeting called for by the Executive Committee, or electronic vote for the purpose of electing a new President and Vice President. The Vice-President will assist the President as appropriate and assumes the duties of the Presidency whenever the President becomes incapacitated or is unable to fulfill his responsibilities as indicated in the preceding clause. He or she will also carry out other duties that may be assigned to him by the President. The Vice-President is automatically a member of the Scientific Committee for the Federation congress held during their term of office. At the end of his or her elected term, the vice president automatically ascends to the office of the Presidency. Should the Vice President become incapacitated or unwilling to perform the duties of the vice presidency, the office will remain vacant until the next General Assembly of the Federation, a special business meeting called for by the Executive Committee or a specific electronic vote for the purpose of electing a new Vice President. Nominations for the vacated office will be solicited by the Executive Committee The newly elected Vice-President will then serve until the end of the term of office of the current President. After one term in office the President will automatically become Past President for a period of two years. He or she will assist the President as appropriate, and will also carry out such other duties as may reasonably be assigned by the President. If for some reason the Past President becomes unable or unwilling to continue in office before the end of his or her term, the post will remain vacant until the end of the term of office of the current President. The Secretary General will maintain the required legal and official records of the Federation including those related to the membership and the proceedings of the General Assembly and Executive Committee meetings. He or she will also carry out such other duties as may reasonably be assigned by the President. The Secretary General will serve for two years and can be eligible for re-election for one further term. If for some reason the Secretary General becomes unable or unwilling to continue in office before the end of his or her term, his or her duties will be assumed by the Treasurer, until the next General Assembly. An electronic vote or a special business meeting will be convened for the purpose of electing a new Secretary General. The Executive Committee will seek nominations for the vacated office. The newly elected secretary General will then serve in that capacity until the following general elections for the offices of the Executive Committee are held. The Treasurer will be responsible for administering the funds of the Society, keeping a record of financial transactions, and providing a financial report to the General Assembly. He or she will also carry out such other duties as may reasonably be assigned by the President. The Treasurer will serve for two years, and can be eligible for re-election for one further term. If for some reason the Treasurer becomes unable of unwilling to continue in office before the end of his or her normal tern, his or her duties will be assumed by the Secretary General until the next General Assembly, an electronic vote or a Special business Meeting convened for the purpose of electing a new Treasurer. The Executive Committee will seek nominations for the vacated office The newly elected Treasurer will then serve in that capacity until the following general elections for the offices of the Executive Committee are held. Members at large will be assigned by the President specific portfolios with tasks to fulfill. Members at large serve a term of 2 years and are eligible for re-election for one further mandate. The Editor in Chief of the official WFITN journal “Interventional Neuroradiology” (INR) is responsible for soliciting peer review of scientific papers for the journal and making editorial decisions. The Editor is appointed by the Executive in consultation with the publisher of the Journal INR. The General Assembly will normally be held in conjunction with the Scientific Meeting of the Federation. The Secretary General shall send announcement and an agenda of the General Assembly to all members at least six weeks prior to the set date of the meeting. All members may attend the assembly, but only Full Members in good standing, Honorary Presidents and Honorary Members may vote. The General Assembly may take place and decisions may be taken only when the number of members with voting rights present is at least ten percent of the total voting members; it will be the responsibility of the General Secretary to ensure that this requirement is fulfilled. Proxy votes may be assigned by absent members to an attending member with full voting rights. The “principal” (voting member who is absent) must give the “proxy” (attending member) permission to vote at the meeting in writing: this permission is valid for only one meeting. If there is no quorum (i.e. ten percent of the total eligible voting members counting attending members, principals and proxies), another meeting shall be convened where no specific quorum is required. The announcement for this second meeting shall be sent out to all members at least thirty days prior to the set date of the meeting. The new officers of the Federation as determined by vote shall be announced at the General Assembly. New members who have applied and been approved by the Executive Committee since the previous General Assembly will be announced. The next Congress President and Congress location will be determined at the General Assembly by secret vote as laid out in Article 9 of this constitution. All items of discussion listed in the agenda of the general assembly must be discussed during the meeting. Under "Other matters", any member present at the meeting can raise any pertinent subject for discussion and or a vote. Decisions made during the General Assembly are voted upon by a simple majority or by the largest number of votes when more than two choices are presented for a vote. The Executive Committee may also announce a General Assembly to be held at other appropriate scientific meetings. Notice of the meeting and an agenda shall be sent to members by the General Secretary at least 6 weeks before the meeting is to be held. Special Business Meetings may be convened by the President on written request of one-third the voting members. The agenda for such meetings shall be included in the announcement to members, and no business other than that indicated by the agenda shall be conducted. The announcement for a Special Business Meeting [and any relevant ballot papers] shall be sent to all Members at least 30 days before the date set for the Meeting. This Committee is constituted by the President(s) of the past two WFITN scientific meetings and the Vice President. This group can choose any number of Full Members in good standing to help them. This Committee shall seek the cooperation of local scientific committees and shall be responsible for the scientific program and organization of the federation's official meeting(s). It shall do so in close consultation with the executive committee. This Committee shall be appointed by the Congress President from Full Members in good standing. The executive committee may from time to time and, at its discretion, establish specific ad hoc committees to assist in the planning and execution of various endeavors that will promote the purpose and goals of the federation i.e. fund raising, relationship with other organizations, expanding the membership, etc. A meeting of the Executive Committee members of the WFITN shall be held at least once per year. The WFITN shall hold one scientific meeting at least once every two calendar years. The selection of the President and of the host city for the meeting shall be determined through a vote held at the General Assembly. The prospective WFITN congress President needs to be a member in good standing of the WFITN for at least the last 4 consecutive years before his or her application for the organization of the meeting. The Secretary General will alert members to submit applications to host a WFITN meeting 6 months before the general assembly where the vote will take place. The deadline for submitting applications will then be 3 months before the date when the vote takes place. Applications should be submitted to the office of the WFITN for the attention of the current President and Secretary General of the WFITN, in order to allow the Executive Committee to evaluate the applications. Each application must include a letter of motivation for hosting the meeting anda short CV of the competing prospective President. It should detail the potential scientific and organizational objectives of the meeting, and give information about the proposed hosting city. As the meeting is a scientific manifestation, the tourist aspect of the proposals should be of secondary importance. As the meeting is not a course, any kind of live demonstration must be avoided. If the WFITN meeting is supposed to be linked to another meeting, this must be mentioned in the application form; the relationships with the joined meeting or other scientific societies must be clearly defined in order to determine the scientific and financial aspects of both meetings. Each complete application will be reviewed by the Executive Committee. It is the duty of the Executive Committee to process the applications and check if they are admissible for presentation to the membership for vote. Applications that are judged by the WFITN executive committee to be non-admissible will be notified. The WFITN should preferably allow a worldwide rotation for the organization of its meeting. The Executive Committee may therefore exclude submissions from the geographic region where the meeting has been recently hosted. The accepted applications will be sent to all members in good standing of the WFITN 1 month before the General Assembly during which the vote will be held, as only members in good standing, honorary presidents and honorary members will be allowed to vote. A 3-5 minute oral presentation concerning the goal and spirit of the meeting and the potential hosting city will be made by the competing prospective Presidents of the WFITN meeting during the General Assembly before the vote will be held. The applicant who gets the absolute majority of votes (50% + 1 vote) at the first ballot will be elected President of the WFITN meeting. If the absolute majority is not reached initially, a second ballot will be held during the same General Assembly in order to choose between the two first candidates who will have obtained the most important number of votes. The applicant who will have obtained, at the issue of this second voting process, the majority of ballot papers will be elected President of the WFITN meeting. In addition to its other roles, t is the intention of the WFITN to function as a federation of neurointerventional societies. 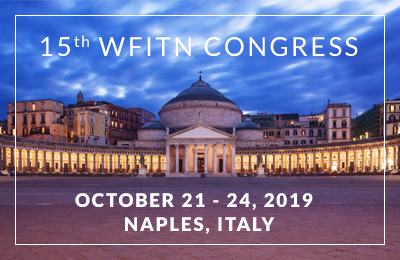 National and continental neurointervention societies may join the WFITN if they are officially constituted and have more than 10 members. No membership fee is required. A federation assembly will take place annually. It will be announced to all member societies 3 months in advance by the Secretary General. The role of the federation assembly is to develop consensus charters for neurointervention training, practice, research and ethics. The federation may also formulate policy which can be submitted to the executive and general assembly for vote. The WFITN President will chair the federation assembly. The Secretary General will send out an agenda 6 weeks before any meeting. All financial contributions to the Federation, including membership dues, fees, corporate contributions, philanthropic donations, income from scientific/educational activities shall be paid to and collected by the Treasurer on behalf of the Federation. The membership dues or other subscription fees shall be established by the Executive Committee in accordance with the constitution and approved by the membership at large during a General Assembly meeting. Funds available to the Federation can be used to finance its educational and training activities such as publishing a scientific journal, organising scientific meetings, assisting local societies, training young physicians, etc. The Executive Committee shall assume collective responsibility for its actions, including those relating to disbursement of funds. It shall not, however, be held responsible for actions taken by individual members of the Federation. The Treasurer shall ensure that an independent auditor is appointed and provided with financial records that allow for an annual audit to be presented at the General Assembly. Any amendment or change to the constitution must be approved by the membership at large during an official meeting of the General Assembly or during a special business meeting called for by the Executive Committee. This requires a two-third majority vote of the members present at the meeting. The proposed amendments and or changes to the constitution must be presented to the membership at large 6 weeks prior to the General Assembly or to the special business meeting. The Federation can only be dissolved during a General Assembly meeting or a special business meeting called for by the Executive Committee. Dissolution of the Federation requires a three fourth (3/4) majority vote of the members present at the meeting. If at the time of dissolution of the Federation, there are funds available, they shall be transferred to another non-profit organization with goals and purposes similar to those of the Federation.